Uploading files requires a public key to identify which account and project the uploaded file will belong to. More advanced operations, such as deleting, grouping, storing or otherwise managing uploaded files requires private key for authentication. 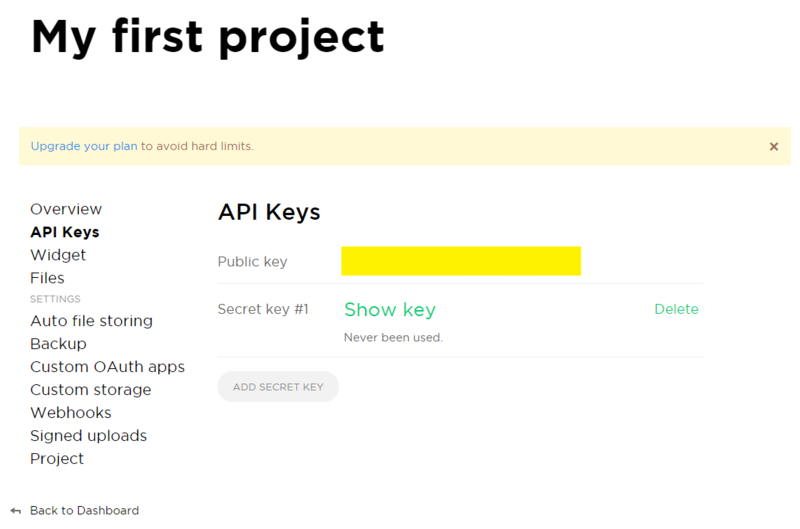 You can find and manage keys yourself: open dashboard, click on the project's name, click "API Keys" in the left menu, your secret and public keys are here.